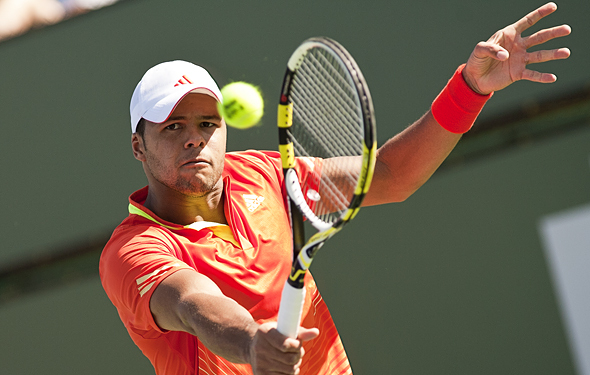 Does Tsonga have any chance against Nadal on clay? COMING MONDAY! A new tennis magazine written by some of the foremost tennis writers. Tennis Journal is here. Take Rafael Nadal over Jo-Wilfried Tsonga because while Jo does tend to play well in France, he is not an excellent clay court player and Rafa got over a big mental and talented hurdle in besting Grigor Dimitrov in three. Tsonga is capable of winning a set if he serves huge, but Nadal will spend most the day controlling the court with his forehand and whipping passing shots past the Frenchman. However, the match will go three partly because Tsonga does not want to be embarrassed at home.